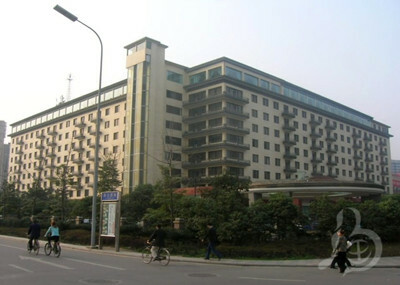 Sichuan Jinjiang hotel is in Southwest China''s first five-star hotel, located in Chengdu city main road - the road, adjacent to the famous Funan River, and Tianfu Square echoes, the transportation is convenient. Hotel covers an area of 70 acres, the guest parking space 300, green area of 30 acres, a beautiful environment, known as the "The Garden House Hotel" in the world. The hotel has luxurious and comfortable rooms, the window overlooking the landscape of funan. The construction area of nearly 1000 square meters, the magnificent presidential suite facilities, luxurious and elegant decoration, most of the domestic first-class level. The hotel has 12 different sizes of meeting room and can be selected for use. The hotel has largest nave in Chengdu, can accommodate 600 people in the Louvre garden, a total of 18 different style of the size of the restaurant, for the guests provide Sichuan cuisine, Guangdong cuisine, Japanese cuisine, Korean barbecue and authentic western food, by the famous "Chinese master chef," the Lu Zhaohua Mr. and "Sichuan chefs" Party of Mr. meticulous care.